Melt butter in pan, add chicken and fry a little. Add flour and stir then add chicken broth slowly to avoid lumps. 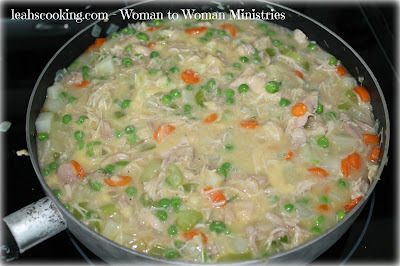 Add peas, salt, pepper, and cream of chicken soup. 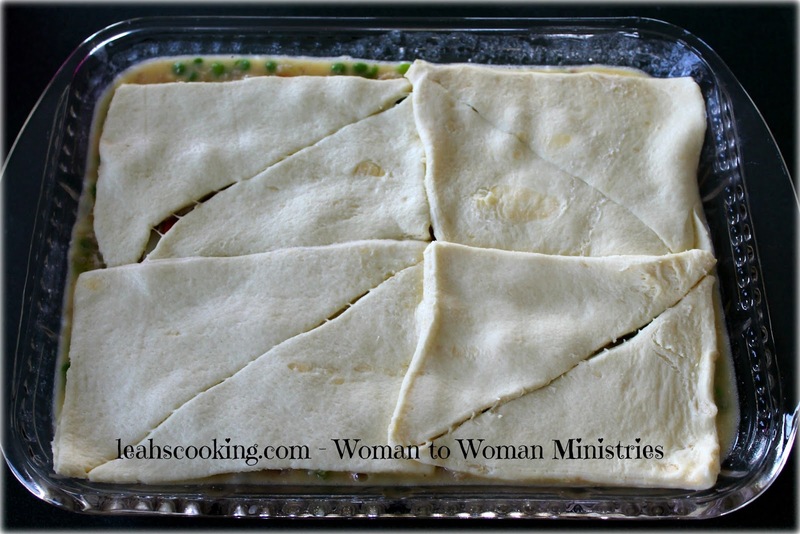 Pour into a 9 x 13 baking pan and top with crescent rolls. Bake at 375* for 15 minutes until Crescents are a golden brown. And I forgot to take a picture when it was done baking... sigh. Sounds so good! I have been wanting to make a homemade chicken pot pie so I can't wait to try it! Looks so yummy, pinning it! Thank you for sharing Leah!